That’s a statement of fear that I hear from a lot of parents. And, it’s true. There are no IEPs in college. The following is a guest post from my friend Lynn. You may recognize her from the Facebook group. Her son, who has autism, is now in his mid-20s. That’s relevant because 25 years ago, the environment was very different. Services were not available, and the stigma was more intense. Despite all that, B, her son, graduated with his BA in Anthropology, completed a year of grad school, a Smithsonian internship and lived in Italy for a month with other students. All this, from a kid who Lynn was told was “uneducable.” Her family are certainly pioneers, because 25 years ago, no one thought that a kid with autism could go to college. Don’t give up on your vision, if that is the future vision that your child has. And now, Lynn’s post. Full of great tips. We all hope that our children can go to college or other post-secondary schools, but we are usually behind in the preparation department due to our more immediate needs. As a teacher and wife of a retired college professor, I hope that some of our experiences and insights will help you and your child find their way through the maze. Having a son with autism who has successfully graduated with his BA in Anthropology, completed a year of grad school, a Smithsonian internship and lived in Italy for a month is impressive. But he did the work, and given the right preparation and forearmed with knowledge and follow-through, yours has a good chance as well. In answering questions she gets asked most, I first have to tell you to forget everything you have “heard.” Let’s start over. Are there IEPs in college? No, there are no IEPs in college. Not in 2-year or 4-year, not in trade school or anything else. An IEP is for students who have not graduated from high school. There is no IDEA in college, either. All of that is finished when the child leaves the public school system (not later than age 21). There are no “laws” for college students with the exception of the protections within the Americans with Disabilities Act (“ADA”) and Section 504 of the Rehabilitation Act. In some cases, Title 9 applies. Remember, public school grades K-12 are a right. College is a choice, a privilege, optional. In addition, once children with IEPs leave the protection of the public school system, parents lose the right to speak for them. So what does a student use in college to get services? They receive their accommodations in a 504 plan, just as they may have had in school. To avoid a complicated subject here, more information regarding the ADA and 504s can be found here. Most confusion for parents and students centers around what exactly students can receive as a 504 accommodation. The accommodations that colleges are required to provide are only those that give them access to their education. This is the difference between an IEP and a 504. With a 504, no work is modified, no due dates are extended, there are no SDIs. Students are expected to do their work on the same timelines and at the same levels as their neurotypical peers. Accommodations such as extended test time, a quiet testing room, or hard copies of notes/note taker are easy to get. Colleges are not required to provide services or accommodations such as personal aides (classroom or otherwise), elimination of pop quizzes, or equipment such as readers used outside the classroom for study time. How do you get 504 accommodations in College? 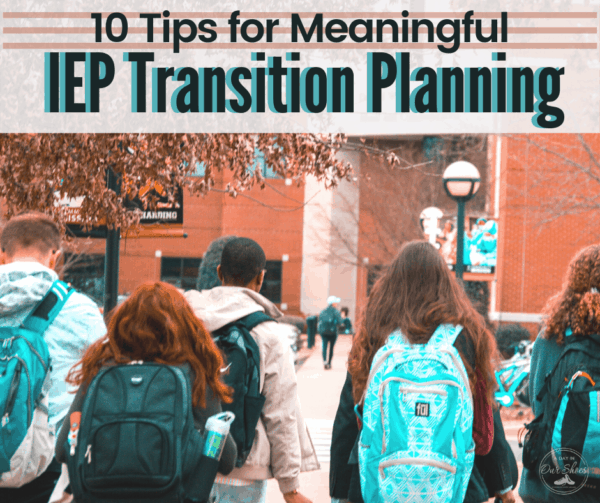 Before the end of high school, make sure your child has an evaluation – whether an eval done by the school psychologist (ER/RR), or one done by an independent psychologist (IEE) – that is directed toward college. This should be done sometime between the middle of junior year/middle of senior year. The reason for this is because you can only use these evals for three years, so you want to keep them as new as possible. If a child should start college and then a year later, decide to transfer, you want to be able to use that eval for accommodations at the new school. These evals should list a recommendation for accommodations your child needs to succeed. 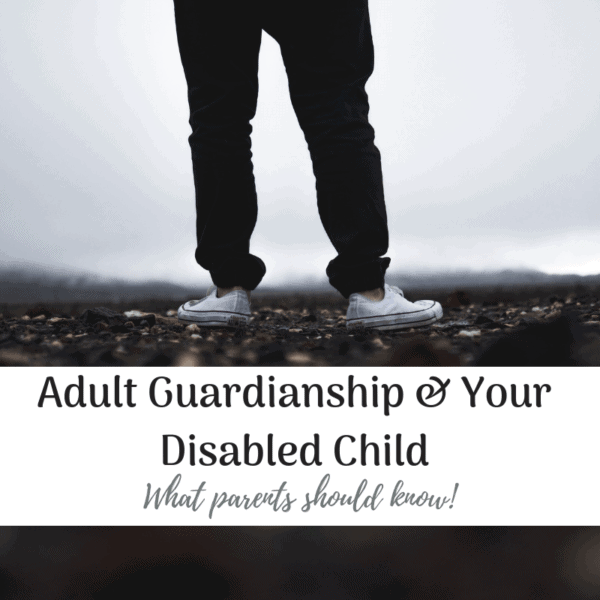 Between high school graduation and the first semester of college, after your child has identified themselves to the university’s Student Disability Services Office (“DSO”) as a person with a disability, your child will meet with their DSO caseworker to determine what their accommodations will be. You may attend that meeting with your child if your child is agreeable. However, ask the DSO before the meeting what paperwork they will require. For students with a physical disability, you may need medical paperwork and any ISP, IEE/ER/RR, 504 or IEP they had in high school. For students with invisible disabilities such as autism or ADD, you may need your IEP or 504 from high school, IEE/ER/RR, etc. Medical paperwork may or may not be necessary depending on the nature of your child’s disability. It’s also a good idea to keep these important papers in a binder so that you can find them easily and make a copy for your child to have as well. At that meeting, you will determine the accommodations to go on the 504 letter, which they will receive from the DSO every semester listing the student’s accommodations. Students are required to give these letters to every professor during the first week of school. Each DSO that handles these letters has their own requirements as to what they want from you on paper to prove your child needs these accommodations. As this is a technical topic and too involved for this essay, I would suggest you go through the many websites with information about what is a 504 accommodation and what is not. You will have to sort through what your child gets now that is necessary as well as what fits the concept of “access.” I have seen classrooms moved in buildings that do not have elevators, even to a completely different building if there is no air conditioning system (although that is rare, most college buildings do have A/C now). Every semester, your child will be required to give their professors (even if they have had them before) the 504 accommodation letter provided by the disability services office. When they give your child that letter, include one of your own. I’ve included a sample “introductory letter” for you to see; the nature of the letter was that we asked that teachers please not teach using idioms or sarcasm, we asked them to choose groups/partners for him, that sort of thing; we also put a nudge in for them to please get the note taker in a timely fashion (because some of them won’t). For my son, this letter was a lifesaver. It’s something I just came up with one day, because I knew he would forget to mention some of the issues and that at some point they would become a problem. In this way you can help your child get a bit more understanding from overwhelmed professors – and yes, they are overwhelmed, most were never trained in disabilities, they are merely experts in their fields. Many of them would like to help. The ability to self-advocate, especially within a large student body, is very important. College students with disabilities are expected to be self-advocates from the beginning. College is semester-based. Every semester they are required to go to the DSO and sign up for their 504 accommodations (or whatever your particular college’s procedure should be), to take their letter of accommodations and their introductory letter to their teacher, to give the DSO the Power of Attorney every semester, they have to sign up or arrange the quiet room/extended time for each test or quiz with the professor, they have to know when they are falling behind so that they get extra help. Note: Some colleges have begun to use an online system of sending the 504 letters, either to the student or the professor or both, and also for trying to get note takers for students. We have found through personal experience that they do not always work. It is always better to hand the letters in person to the professors. If a note taker has not registered with the DSO, or if a course number or title is incorrect, your child can go for weeks or even months with no note taker! This is almost impossible for your child to understand, so self-advocacy skills are a must. If your child refuses to identify, and if you think they will have a hard time with a full workload, start smaller. Go to community college, take one or two classes, see if they have success and increase the workload from there. If they do not succeed, you will not be out thousands of dollars and they will not have bad grades on a higher level record. And your child can find another path. Many DSO personnel will tell you the failure rates of numbers of those who refuse to identify are astronomical. And many of our kids mature much later than others, it’s not fair to them to set them up for failure. Much better to build them up for success. There are programs in many colleges where you can get counseling, a mentor or buddy, help navigating the system, social skills classes etc. Take advantage of these. Many are covered by financial aid if you take them for credit. Many are free if they are run through the DSO. Make sure you thoroughly research the ones that are not covered by financial aid before you shell out the money. They are not all created equal. When my son was looking at colleges, there was one at a large university in NJ that had a mentor program which cost $5000 a semester. The student was set up with a student mentor, who would meet with them a few times during the first 2-3 weeks. Then, the mentor could call the student and check on them every other week. That program has since been discontinued, probably for good reason. $5000 for some phone calls from a kid just doesn’t quite cut it. For parents of students who may need help with self-advocating, I would suggest getting a Power of Attorney (POA) drawn up for your child at that time, which includes healthcare, education, employment, and pretty much anything else you can think of. They will need to sign it, they are giving over their power to you. Although you can tell them, you will let them make their own decisions, but you have the ability to step in when you need to. Because we do need to let them go and fall and fail and get back up. It just needs to be done gradually, and when they are at college is a great time to start. How to choose a college for your disabled child. Start researching early. When you look at majors for their preferred path, don’t limit your degree selection. Meaning, if your child wants to work in a museum, degrees in Museum Studies aren’t necessary. You can take Anthropology, one of the sciences, or History. All will be able to get them there! And take minors to fill in the holes –computers or another science, business, math, art, etc. In addition, smaller departments tend to circle the wagons around their special students more than the larger departments. They are more familial in nature. This is why my son was able to go to Italy and live on his own with nine other students his last semester. They all watched out for each other. Distance from home is a LARGE factor in student success. Not all students are capable of living away. And for those who are, aren’t always capable of being really far away from home. Even if they think they can (yes, laughing here…). Most of our kids need to be able to touch home base, maybe every weekend, or maybe once a month. Going more than 1.5-2 hours away from home will make that impossible, and if there is the potential of an emergency, being far away is just too far. So put your compass on a map, with the point at home, and draw the circle where it would take 1.5-2 hours to commute. Look for the schools inside that area that have what your child needs, majors, etc. Research those schools. THE SYLLABUS! Professors love to use their syllabi. They outline the whole semester’s work right there for you. Syllabi are great, they are definitely your friend. But they can also be overwhelming. Especially for professors that want you to read 5 scholarly articles, 6 book chapters, take a test or quiz every other class, etc. So, to that end, my son and I devised a weekly Assignment Form. We went through the syllabus every month, made sure he had everything expected of him on that form, and he could change it as he needed. He had a folder where he kept his important papers, and that form was always on top. I’ve attached that here as well. OVR: The Office of Vocational Rehabilitation (“OVR”) is either your best friend or a nightmare, depending on who you ask. Among many things, they provide funding for college, provide social skills training, job training, and will do an evaluation for any student who has signed up with them, free of charge, if you were either not fortunate enough to get one in high school or yours is just too old. FINDING FRIENDS: Social skills classes are okay, but the best thing you can do is to help them find groups of students with similar interests. Anime or video game club, History or computer club. My son was in the marching band for two years, as well as Anthro Club VP. Friends can be found just about anywhere. Check all of those out on the school’s website before you go, and make sure they sign up! « Your kid doesn’t want to Trick or Treat? Here are 8 other options.